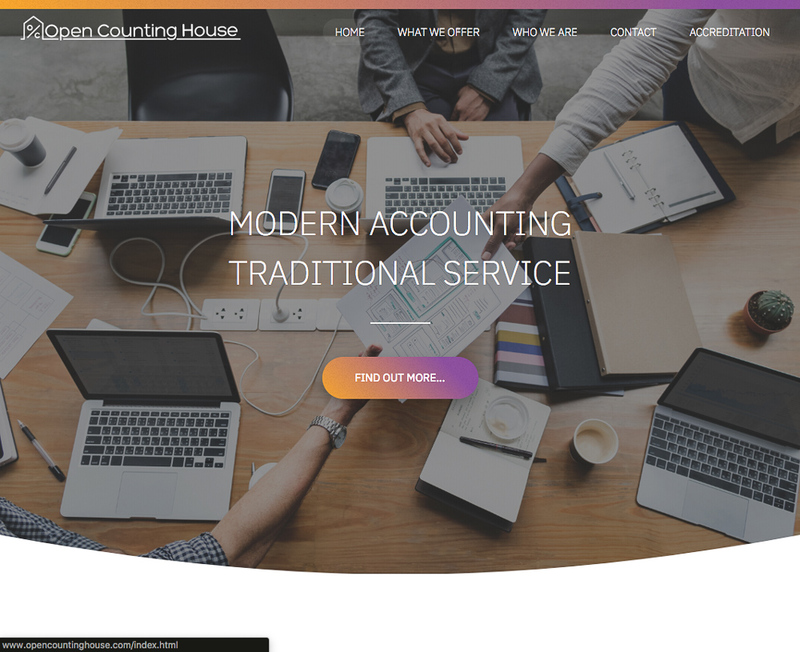 Open counting house is a new bookkeeping business, the founder had gained over 20 years experience running a business in the construction sector and was looking for a new challenge. OCH required a full branding package, this included: logo, website, email, business cards and letterhead (OCH already had their social accounts and google maps information set up). These seem like obvious goals but in the current market of branding and web development they are frequently mutually exclusive. To obtain this goal we firstly give a fixed upfront cost so that there is no scary final figure that the client does not expect. Secondly we keep the package streamlined to keep costs down. To keep the level of service that we would want to provide, we have regular verbal consultations with the client to make sure the package is giving the value they require.